Three major NBA 2K League trades went down this past week. Let’s examine each from the perspective of both teams, and hand out grades for all of them. No one will ever get an A+ from me. The standard for an A+ in my book is getting, say, AuthenticAfrican, for the cost of a second-round pick. Bucks Gaming retains and trades King_Peroxide to Blazer5 Gaming for a first-round pick (#17) in the entry draft. Bucks Gaming: This move entails the Bucks swapping the 48th overall pick (#6 in the third round) for the 17th overall pick, since oLarry’s selection in the expansion draft pushed the team’s retention pick-forfeiture to the third round. Peroxide was a good, versatile player who came on strong later in the season. However, he doesn’t fit particularly well with the system the Bucks seem to be aiming at with their protections of Drake and Meek. He’s a capable secondary scorer, but the Bucks figure to have more than their share of those. It’s not exactly ideal to lose a quality player, especially one who seems to be playing well in NBA 2K19, but the Bucks managed to extract very respectable value for an option they weren’t planning to feature in their plans. This trade gets the Bucks an extra pick, and thus the identity to further form their team, but I’m not at all certain that it solidifies their identity. A first-round pick is worthless if it’s not used correctly, and so this trade isn’t a win yet. Blazer5 Gaming: Peroxide seems to be dominating the NBA 2K19 cycle, but I’m loathe to declare that his success in the first month will translate to the league next season. This is a pretty standard trade by a real contender: a team that fell short of a championship they believe they could have won makes a trade for a complementary piece to buoy their stars. Is Peroxide, or perhaps more accurately the idea of replicating DatBoyShotz’s production, worth a first-round pick? It’s no guarantee that Peroxide will be able to step in as the final component of the triumvirate, but playing with MVP and MVP-nominated guys does generally help. The offball scoring fit is a good one, on the whole, but will the defense materialize? Most importantly, will the two fit together in a way that a potential (non-lottery) first-round pick would not? Similar to how B5 is reluctant to draft, I’m reluctant to proclaim that the integration will be perfect. Whether or not it will is what will define this trade. Warriors Gaming Squad retains and trades Vert to Lakers Gaming for a first-round pick (#10) in the entry draft. Warriors Gaming Squad: Not retaining Vert was one of the surprises of player protection. Vert going unselected was one of the surprises of the expansion draft. The Warriors, in the end, turn the 23rd overall pick in the entry draft into the 10th overall pick, which is a pretty good get for a player from which the squad decided it wanted to move on; WGS also has the second overall pick. The move technically costs the Warriors a second-round pick due to the retention of Vert, but the team was highly unlikely to retain anyone for next season and so the move doesn’t inhibit further internal team-building. The Warriors hired three 2019 draft analysts, so they’re happy to have acquired an extra first-round pick in order to reshape their team the way they want with their faith in their new draft personnel. The Warriors essentially moved up 13 draft slots for an asset they weren’t planning to use anyways. Lakers Gaming: The Lakers become the second expansion team to swing a trade. They’ll get Vert to join KontruL and Mootyy in Los Angeles and put their confidence in a league-tested big three rather than in an entry draft selection. That means a vote of confidence for both Mootyy and KontruL. Vert is a truly humble player who can play more positions than one might expect. Mootyy exploded when Colt moved to point guard, clearing the paint, and Lakers Gaming would be wise to ensure that same space for their first expansion pick. Should the KontruL/Mootyy pick-and-roll connection work well, Vert could move to a Blazer5 Shotz-esque role, which worked so well for the first half of the 2018 season. While it may hurt to lose the tenth overall pick, Vert is likelier to be better fit than most other potential trade targets, and the Lakers may simply be more confident in their league scouting than in their prospect scouting. The Lakers gave up a real asset to get a different good asset they’re confident will fit in. Pistons GT: Without going into too much detail, this wasn’t a trade that Pistons GT decided to do on a whim. It was a trade they felt compelled to make, and they went for the highest overall pick they could get in return for Ramo. The former MVP candidate was linked to Jazz Gaming’s first-overall entry draft selection, but that seems to have been rumor as the Pistons grabbed the #4 pick from Pacers Gaming. They turned down another team’s offer of a first and second-round pick (with presumably a fourth rounder going the other way) in favor of the Pacers’ offer. Ramo will be incredibly hard to replace in the lineup, as the former MVP candidate was the Pistons’ bulwark both on offense and defense. With only Insanity and JosephTheTruth on the books, Pistons GT must hit home on all of their entry draft picks. Pacers Gaming: A great trade for the Pacers, who lock down one of the best (and most proven) big men in the league for the cost of a first-round pick. Ramo fits in well with the Pacers from all perspectives, and figures to shoulder a fair bit of the scoring load down low in the Pacers’ diverse offense. While the team could likely have found a skilled player fourth overall, they won’t have to worry about it now, finding a phenomenal player to make up for the loss of Shockey to Nets Gaming in the expansion draft. 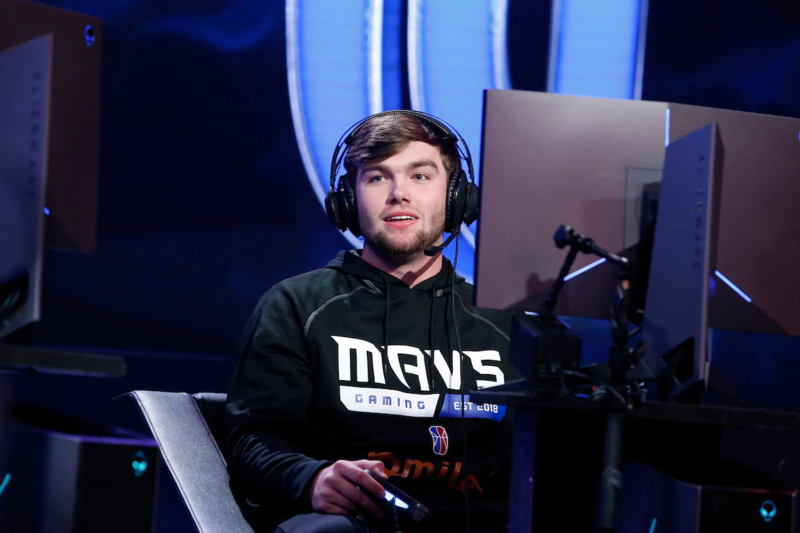 The team still has a high second-round pick, too, and retaining another skilled player—say, TuckerLocksUp at the 5 if Ramo’s willing—could put Pacers Gaming in a very enviable position for season 2. Ramo is just that good. Cavs Legion GC: Again, another trade that involves more than just skill. Hood will be a very hard scorer to replace, having finished third in the league, but the Cavs were able to do perfectly all right when Hood was away from the team. One has to think they might have secured something more for the guy who drew an ESPN graphic comparison to LeBron on the very first night of League action, but the Cavs are very, very high on Larry and will be a happy team next season. The Cavs also retained Godddof2k at the cost of a second-round pick, so while the defense figures to be formidable the offensive catalyst might well have to be found in the entry draft. I do believe that Larry will be 100% ready and raring to go in season 2, and he’ll probably be placed in a situation where he’ll produce more consistently than was the case in Milwaukee. T-Wolves Gaming: Ted Johnson and the T-Wolves added a dash of excitement and panache to the expansion draft by swinging a trade for one of the best scorers in the league. They added Feast as a terrific complementary piece, but the outcome of this trade will be primarily decided by whether Hood finds success in Minnesota. The team will have to put him in the right situation and right offensive gameplan for that to happen, and it’s no guarantee that Hood will play every game of the season. Based on talent and potential alone, however, this trade swings for the fences and does a pretty good job of hitting them. Mavs GG: Again, this trade had to happen. This was the best offer the Mavs got for Dayfri (the biggest winner of this trade), and it really does give the Mavs a straightforward building plan for the offseason, as Director of Esports Trey Christensen described in a video. Nonetheless, it’s conventionally disappointing to get a non-lottery selection for a clear lottery talent. Dayfri may even be better, in the right situation, than he was last year, but since the league is likely to return, at least initially, to a more paint-mashy style, this is a tough loss. Dayfri played well on both sides of the patch, and the Mavs need to hit the nail on the head with their two first-round picks. Considering they’re still looking for a community-based head coach, that’s no guarantee, but their top choice currently will definitely assuage some of those fears. Wizards DG: Yeah, this was a nice trade. Dayfri will team up with Shump, his Pro-Am teammate on MakeItHappen, in Washington after building chemistry during the 2k19 cycle. The Wizards get a great scorer and post player to pair with Shump and JT. They’ll likely be more reluctant to protect a player now, at the risk of losing their second-round pick as well, but for a playoff team to acquire a star player at the cost of a non-lottery selection is a pretty great deal. This is another of those low-reward, high-risk moves for a team that’s shown it can win on the back of basically one player. That guy now has top-level help. That’s scary in theory for opponents.